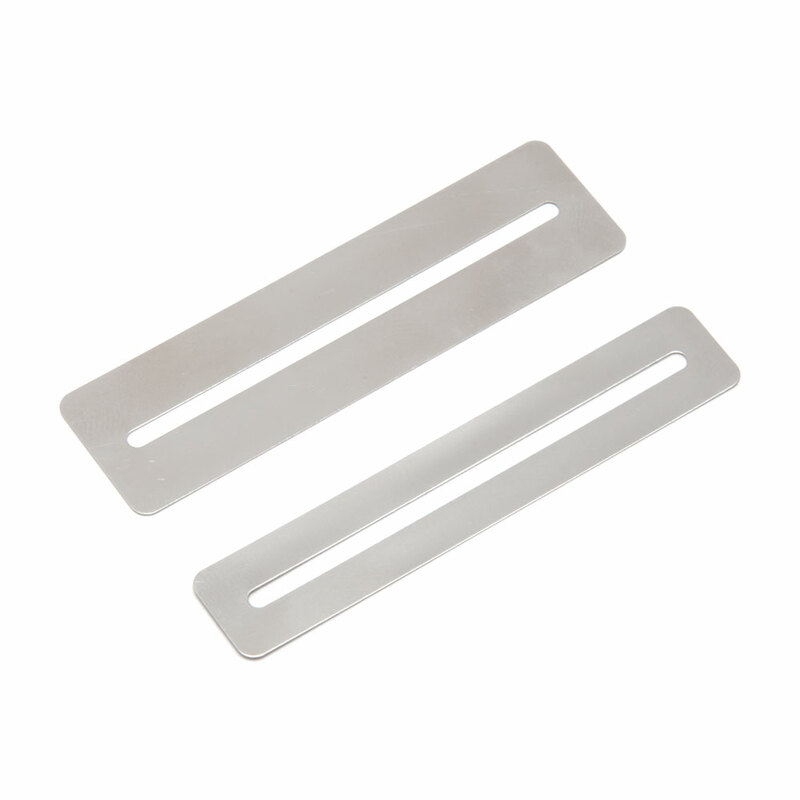 Fingerboard Guards are made from flexible spring stainless steel and conform to the radius of the fretboard to protect it as you work on the fret. The set of 2 has a wide and narrow guard so you can use them on even the highest frets. The fret slot is 2.8 mm wide (please note when using with very wide jumbo frets, the guard will not fully sit flush against the fretboard).